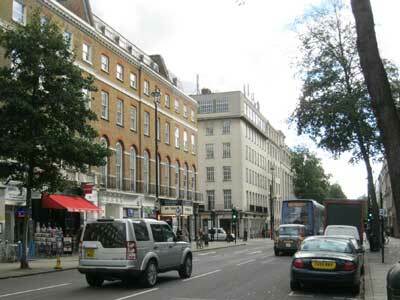 Westminster City Council has launched a public consultation on its plans for Baker Street and Gloucester Place. 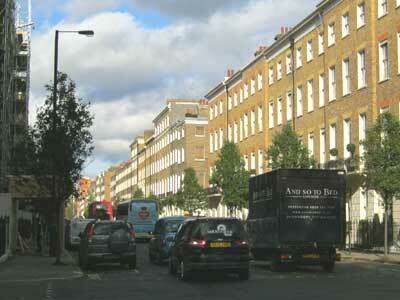 "The proposals seek to return Marylebone to how it was originally intended; as a place for people. As part of the wider improvements to the area, we propose to provide wider pavements along Baker Street and at Dorset Square, reduce street clutter and improve street lighting where it is most needed. The City Council is currently exploring opportunities to introduce more trees and green spaces." 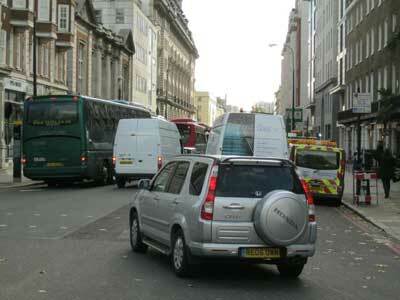 Neither Gloucester Place nor Baker Street is cycle-friendly at present. D. Mandatory cycle lanes of 2m width on both sides of the road for the majority of Gloucester Place coupled with specific measures at key junctions to improve conditions for cyclists and to maintain route continuity. The hours of operation for these mandatory lanes would be determined during the initial design stage. The cycle lanes should operate 24 hours and be protected by segregation such as 'armadillos'. Shift workers deserve as much protection on their cycle to work as office hours workers. The cycle lanes should be continuous, and not abandon cyclists where protection is needed most. A traffic modelling assessment showed that Options B and C 'were unlikely to provide sufficient traffic capacity for an acceptable level of traffic network resilience to be achieved.' It was also considered that Option A did not provide an optimal solution for cyclists. However, Option D provided significantly improved cycling facilities while maintaining an acceptable level of traffic network resilience. The council has therefore decided to develop Option D further to initial design stage. First introduced in 1961, the one-way system around Baker Street and Gloucester Place was designed to handle large volumes of fast-moving traffic. The resulting dominance of traffic in these streets not only discouraged cycle use but also made conditions unpleasant for pedestrians. The dismantling of this system is long overdue. The current proposals appear to have been inspired by Transport for London's Roads Task Force, which published its recommendations in July 2013. There Baker Street is shown as an example of a 'City Street', intended to 'Provide a world-class, pedestrian-friendly environment while ensuring excellent connections with the wider transport network'. Gloucester Place is probably an example of a 'Connector', intended to provide 'Reliable routes for medium distance and local road journeys, comfortable roads for cyclists and safe and secure routes for pedestrians'. The Roads Task Force's vision for Baker Street (above) contrasts with the same scene today (below). The scheme is jointly funded by Transport for London, the Baker Street Quarter Partnership (BID) and The Portman Estate. Information about the plans can be found on the consultation website. Westminster Cycling Campaign will consider their response to the consultation at their meeting on Monday 8 June 2015, and develop the response before the consultation deadline of 31 July. Visit the Cyclescape thread to find out more.